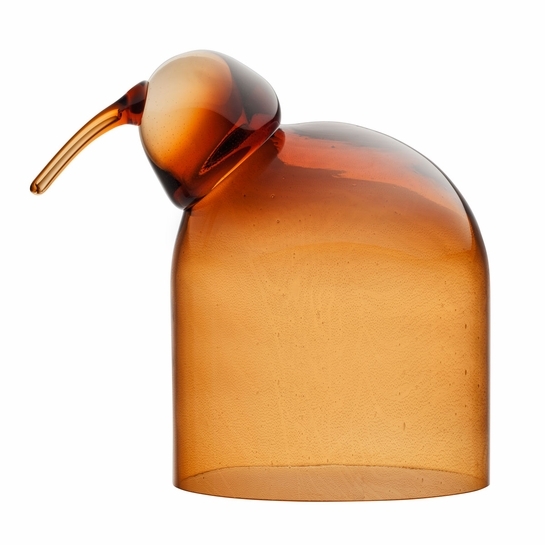 More about iittala Toikka Anna Anna is unlike any of the Oiva Toikka birds collectors already have, but that makes her even more desirable. The base is left open and the dome-shaped body hollow, allowing her chick "Mari" to seek shelter inside of her. Anna can also house any treasures you wish to display and protect. Toikka carefully considered the color and transparency of Anna which the talented team at iittala's works in Finland beautifully bring to life in mouth-blown glass. Her desert hue warms the pale yellow of Mari when the two come together.